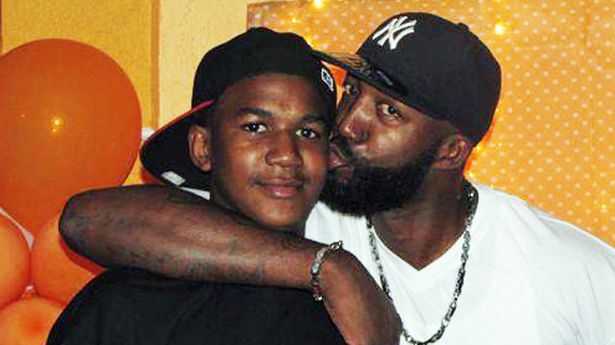 I woke up this morning to the horrifying news about the acquittal of Trayvon Martin’s murderer. I was shocked, distraught and overrun with a feeling of helplessness that I haven’t felt in my life ever before. My brother, a man of color, lives in Florida and this news felt a like a declaration of an open hunting season on people of color, particularly men, who additionally are already targeted severely by law enforcement anyway. My brother doesn’t feel helpless. In his eyes, the war against men of color was declared decades ago, and despite the civil rights movement attempt at progress, racist folks and politicians have found other means to drive people of color into the gutter, so much so, that this verdict came as no surprise. And honestly, when I really think about it, there was nothing but a blind glimmer of optimism that made me delusionally believe that no one could possibly find a man innocent who would chase and gun down a teenager. I chose to forget about a day when I was 17, that a cop in Lynchburg, Virginia tailgated me with high beams on for over an hour, pulled a gun on me for driving down a steep hill at 41 miles per hour in a 35 MPH zone, and tell me that it was normal police proceeder to do so for a traffic violation. I chose to forget that Strom Thurmond remained a Senator in the United States Congress up until his death for over 46 years after his filibuster against the Civil Rights Act of 1957. Nor did I reflect upon the supposed drowning of a black family friend in less than a foot of water after being chased down by the police. I blindly wanted to believe so much, in the ability of our justice system but I forgot that the general War on Humanity was declared long before it was turned into the War on Terror or a War on Drugs. We’ve been living in a society that has been driven by fear and hate and have not taken the real strides needed to make the behavioral changes necessary to live among and collaborate with each other. We need to collectively start reminding each other that we are all human, that we at least have that in common. Because when a young person, regardless of race, dies in an act of unnecessary violence, all of humanity has lost.